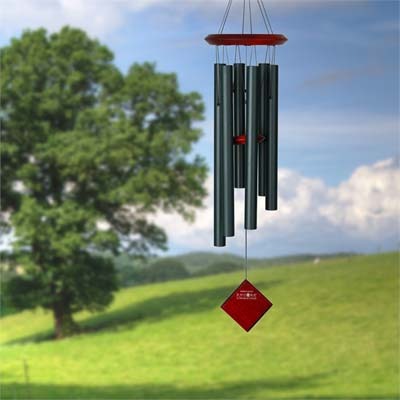 This chime is designed and handcrafted for superior musical performance, hand-tuned to a universal pentatonic (five-note) scale and acts in concert with the wind to create random patterns of wonderful sound. Wind Sail can be engraved with up to 36 characters of your thoughts, feelings, names, and dates. The Chimes of Pluto is named for the outermost planet in our solar system.Discovered in 1930, and reclassified as a "dwarf planet" in 2006, Pluto is composed primarily of rock and ice.